What about the 39 Luapula chiefs supporting Lungu? I write in reference to the two stories that appeared in our papers (UPND TRIBAL LOBBY EXPOSED – Daily Nation, June 10th, 2016 and LUAPULA CHIEFS RESOLVED ON LUNGU VOTE – Daily Mail, June 11th, 2016). I would like Mr. Wright Musoma, Mr Frank Bwalya, the Patriotic Front deputy spokesperson, or anyone out there with a clear view/knowledge to please shade some light and explain to some of us who are lost to what the words ‘To Campaign’ mean. 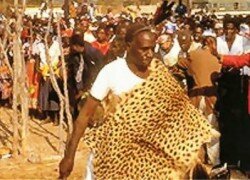 I say some of us are lost because Mr. Musoma and Mr. Bwalya seem to condemn the reported three traditional leaders from Southern Province who are said to have embarked on a national wide campaign for the UPND ahead of the August general elections but seem to be silent/mute in condemning the 39 chiefs from Luapula Province who have openly declared their support for President Lungu in the August 11th general elections. Mr. Musoma is correct to say it is unacceptable for traditional leaders to reduce themselves to money or a bottle of wine but why the silence on condemning the thirty-nine? He says he and who ever is with him, they shall embark on a campaign to persuade Government to de-gazette traditional leaders who are campaigning for the UPND. Shouldn’t the same campaign apply to the thirty-nine who have openly declared to campaign and support President Lungu? And for Mr. Bwalya to say it’s unfortunate that traditional leaders have resorted to openly campaign for political parties when they are supposed to be non-partisan, is he saying it’s ok to campaign/support the ruling party but not the opposition? Is it not campaigning for the ruling party words by Chief Mwewa to say they are sensitising the Luapula people to come out in large numbers and resolve to vote for PF? I think it’s best for our traditional leaders to be mute on who they think is best for State House.